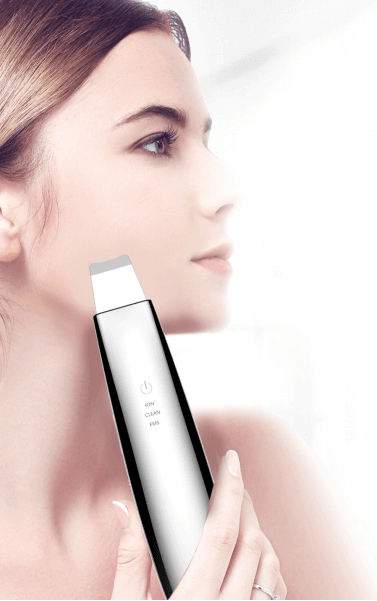 How to use ultrasonic skin scrubber? Blackheads are not easy to remove. One may on a never-end quest to banish his blackheads. Moreover, an oily, acne-prone, combination skin makes that difficult. Most people are constantly trying any beauty gadget that promises to usher them into a life of invisible pores. Steamers, pore vacuum suction tools, comedone extractors, and the most classic pore strips are being used frequently. 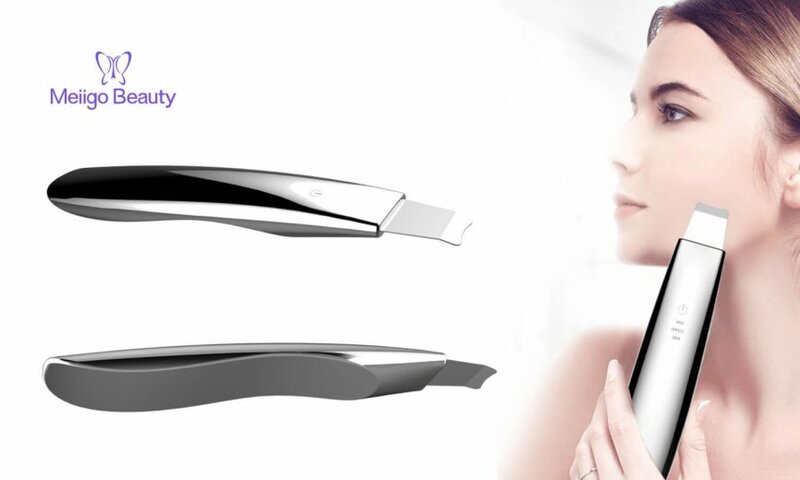 Among those traditional gadgets, the recently emerging ultrasonic skin scrubbers are being more and more popular. It does not only perform well. but also incredibly easy to use. An ultrasonic skin scrubber helps clear out dead skin and debris. The ultrasonic skin scrubber is a water-based exfoliation treatment. The device has a flat shape and must be used on wet skin. It works by being activated by ultrasonic soundwaves (28,000 vibrations per second), to loosen up dead skin cell build-up and debris. Skin scrubbers are great for those with sensitive skin. While microdermabrasion may be the most beloved form of physical exfoliation, it uses crystals and a suction-vacuum method that can cause redness and dilate or break capillaries. 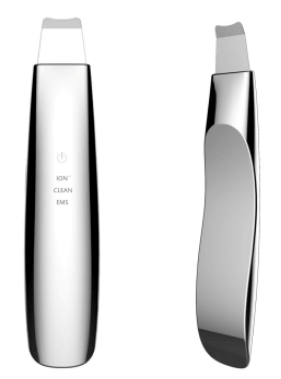 In comparison, an ultrasonic skin scrubber is a very gentle procedure for the purpose of exfoliation. It works particularly best for red or rosacea-prone sensitive skin that typically doesn’t respond well to other exfoliation methods. However, ultrasonic skin scrubber doesn’t replace other forms of extraction. An ultrasonic skin scrubber may loose and jiggle out some of the cloggings out of the corners of the nose, but it’s not as effective for flatter areas of the face like the chin, cheeks, and forehead. The users don’t usually have good success because of the angle and flatness of the skin scrubber being on the skin. It doesn’t provide a scooping action. This doesn’t make it very effective for removing blackheads. You don’t get the precision like you do with a comedone extractor. Don’t use the ultrasonic skin scrubber on dry skin. The skin must continually be kept wet for it to work. Don’t has moisturizer on the skin, just cleanse and keep skin wet with either water or an alcohol-free toner. Don’t use the ultrasonic skin scrubber every day. Although the gadget is a really light form of exfoliation, one never want to use any form of exfoliation, even if gentle, every day, because you don’t want to over-exfoliate. The skin needs time to recover. Stick to using it 5 days a week, at most.